Pro bono. 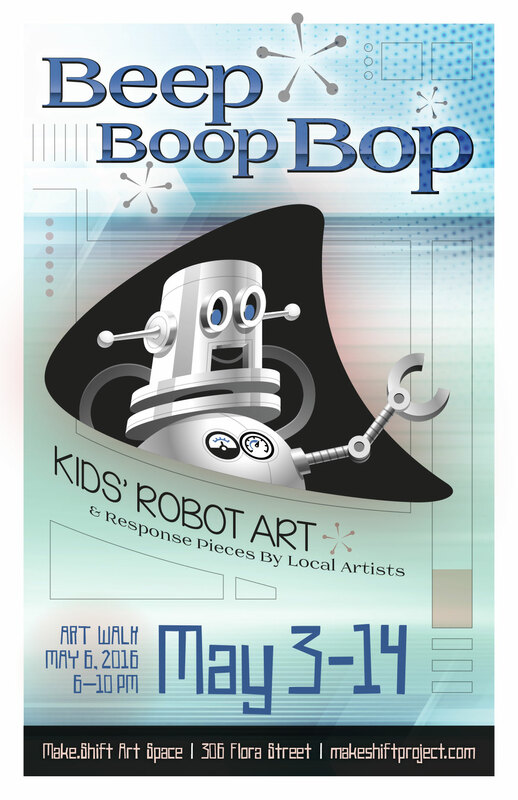 I based the robot illustration on the poster from a child's drawing. I made a robot lamp sculpture for this art show.